Fleet Services - Professional Detailers, Inc.
TOTAL COMPREHENSIVE SOLUTIONS FOR YOUR FLEET. Pre and post show, computer generated reports via e-mail for reporting damage, missing accessories, etc. We can arrange for transportation of your vehicles with reputable third parties. 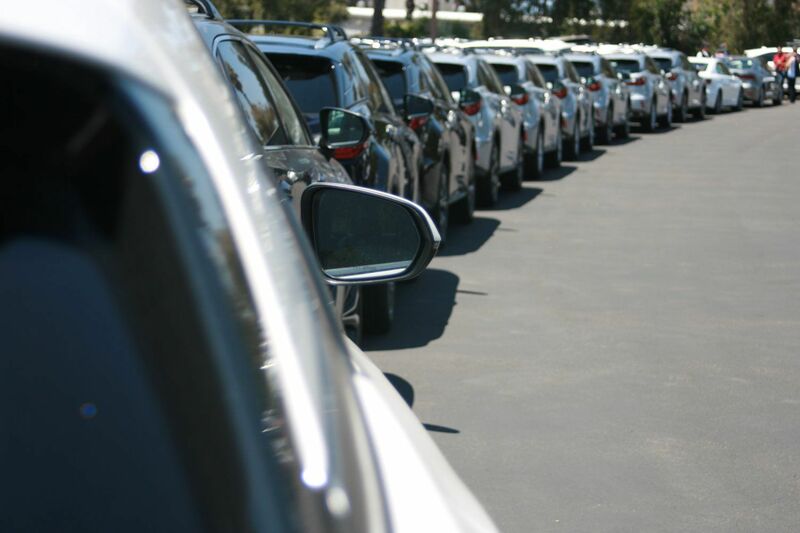 On site leased locations in most cities close to the venues for storing vehicles prior to delivery to the event. Delivery Of Show Vehicles From Staging To Show Floor: We deliver your vehicles to your exhibit or display area from our staging area. We will deliver the vehicle and place them into area allocations. Detailing Of Vehicles Prior To Show Opening: Vehicles completely detailed prior to press, preview, gala or show opening. Our vehicle maintenance service is the best in the industry. Our crews service the display hourly. Included in the hourly service literature restoring, trash pick up and exhibit cleaning, hourly contact with exhibit manager. We have the knowledge, equipment, tool and manpower to provide these services. If you do not see a service listed above please inquire about custom programs specific to your event needs.